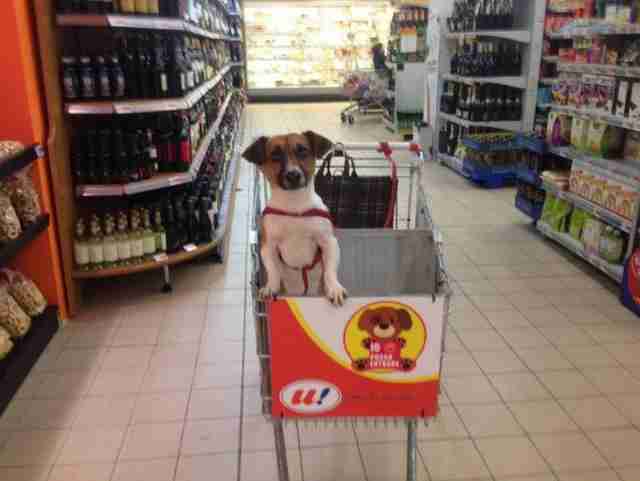 Pets are part of the family - so it's about time they get to help out with the shopping. A supermarket in Italy has implemented an ingenious idea that's changing the way people shop for groceries while, at the same time, boosting the store's bottom line. 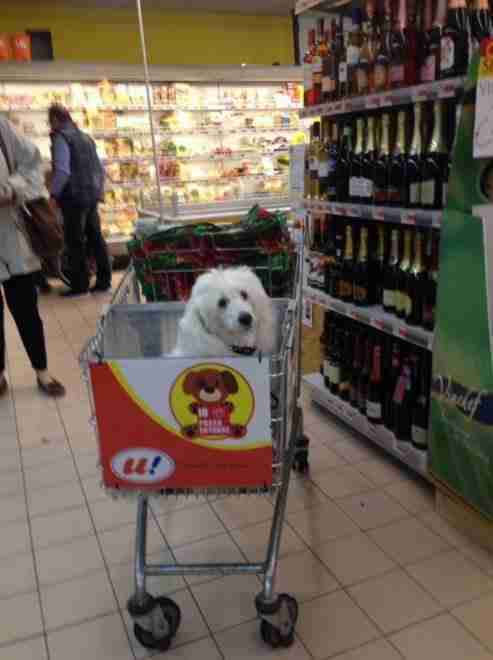 All it took was one simple innovation: specially designed shopping carts, made with dogs in mind. Gianfranco Galantini, owner of the store Unes in the city of Liano, says that he got the idea after seeing so many dogs forced to wait out front while their owners shopped inside. Suspecting that folks with pets would feel less rushed and more at ease if their furry companions were by their side, he decided to make that an easier option. A few weeks back, Unes began offering the special carts. 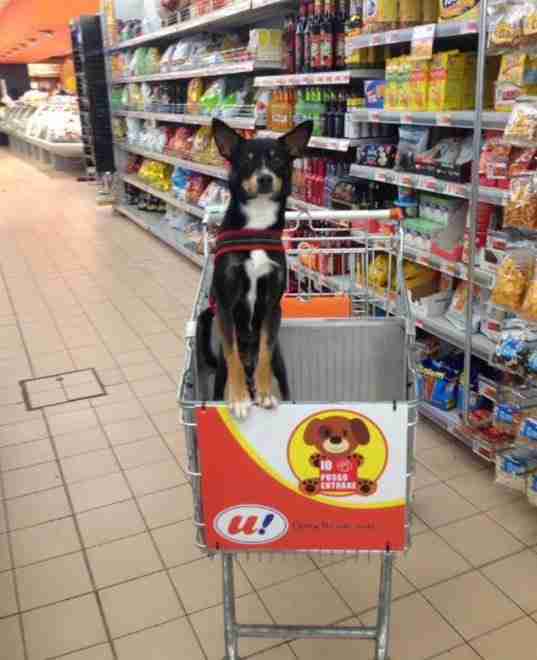 Each is fitted with a partition that lets small dogs ride along apart from the groceries, and a flat surface at the bottom for them to comfortably stand or sit on. "The owners of small dogs can now avoid having to leave them outside, giving them peace of mind to take all the time they need to make their purchases," Galantini told La Repubblica. "The initiative launched just recently, but we've already noticed how much our customers appreciate it." It was already legal for small dogs to enter stores like Unes, under the condition that they remain in their owner's control. But these special shopping carts are not only making that easier - they're encouraging pet owners to take advantage of their right to do so. The carts, which are cleaned after each use, haven't cause any issues for the other customers, says Galantini. Though he does admit one dog did bark a little at first, but "calmed down immediately" once the ride got going. This idea has been such a big hit, in fact, that it may soon be spreading. Corporate management for Unes has reportedly been in touch with Galantini about the possibility of introducing the carts to other store locations across the country. We can only hope it goes international after that! 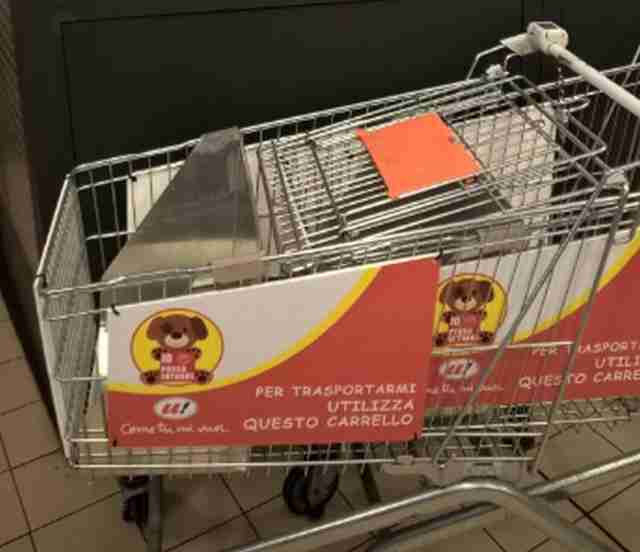 Click here to see a gallery of these clever shopping carts in action, from La Repubblica.